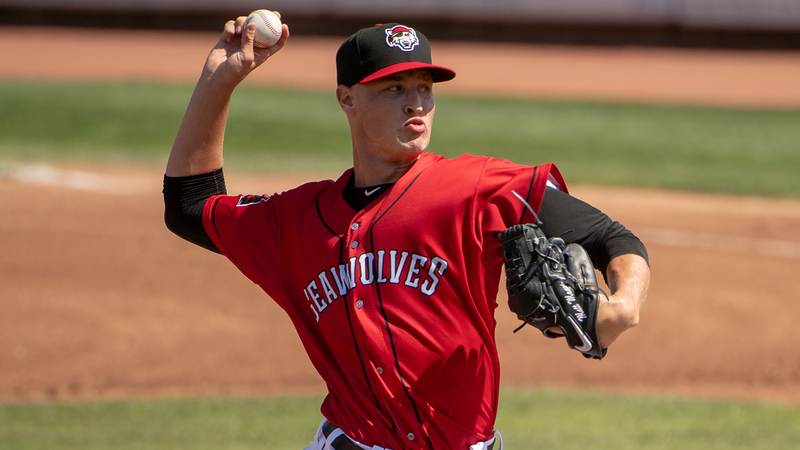 The 2019 season could not have gotten off to a better start for the Erie SeaWolves, who defeated the Trenton Thunder 11-1 in their home opener at UPMC Park. The win was Erie's first home opening victory since 2013, which was also the last time the SeaWolves made a postseason appearance. On an Opening Night headlined by the Detroit Tigers number two overall prospect and right-hander Matt Manning, it was the offense that stole the show by scoring all 11 runs in between the fourth and seventh innings. After the SeaWolves fell behind 1-0 in the top of the second on a Rashad Crawford RBI double, Erie first baseman Josh Lester tied it with one swing in the bottom of the fourth. The solo blast was his first of the year as Lester led all SeaWolves sluggers in 2018 with 21 home runs. Manning limited Trenton to the one run on just one hit through his 5.0 innings, while also striking out five. The Erie bats cemented the 21-year old's first win of 2019 after plating three in the bottom of the fifth. With one out, Derek Hill tripled to right-center and Isaac Paredes brought him home with a single to left. After a Kody Eaves single through the right side put runners at the corners, a wild pitch scored Paredes and Daniel Pinero plated Eaves with a two-out RBI single. Erie followed the fifth with a four-run sixth, capped off by a Parades two-run blast to left, his first home run of 2019. Paredes collected four RBI to lead all hitters on Opening Night. With the combination of relievers Drew Carlton, Joe Navihlon, and John Schreiber blanking Trenton over the final four frames, the SeaWolves tacked on an additional three runs in the home half of the seventh. Cam Gibson, one of four Erie batters with a multi-hit game, tripled to begin the inning and then Sergio Alcantara singled him in. After a Hill base hit followed by one of Trenton's three errors, Alcantara came home for the final run. Tomorrow afternoon, Erie will send RHP Alex Faedo (0-0, 0.00) to the mound against RHP Brody Koerner (0-0, 0.00) in game two of the three-game opening series. First pitch is slated for 1:35 p.m. ET and can be heard on Fox Sports Radio 1330 AM, SeaWolves.com, or seen on MiLB.TV. Saturday is Kids Opening Day featuring games and activities for children. Kids will be able to meet and pet ponies and enjoy Kids Happy Hour with free inflatable Fun Zone games until first pitch.